A pair of city men were injured in a shooting on East 26th Street and 10th Avenue, an area used by the Bloods street gang set ‘So Icy Boys’ for criminal activities, on Friday afternoon, boosting the number of people shot in Paterson to eight in two days. 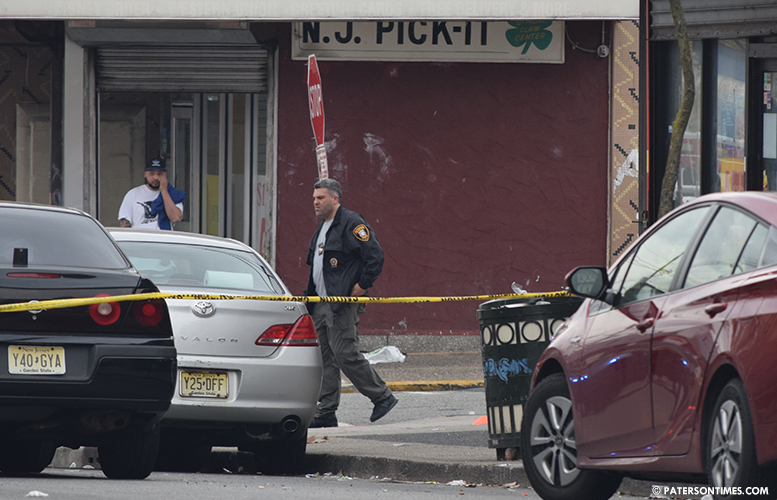 Both victims, 35 and 42, of Paterson, were struck by gunfire at about 5:02 p.m., according to information released by Passaic County prosecutor Camelia Valdes on Friday night. Police initially could not locate victims in the area. A short time later, police received information that two men had arrived at St. Joseph’s Regional Medical Center seeking treatment for non-fatal gunshot wounds and were receiving treatment. The shooting on East 26th Street is the fifth in a sudden burst of violence that began at 3:34 p.m. on Thursday with a double shooting at 1 Circle Avenue. Eight people, all residents of Paterson, have been shot, one fatally, so far. Police arrested a suspect in one of the four shootings that occurred on Thursday. Municipal officials were speaking with county, state, and federal law enforcement agencies to secure resources to bolster security in the city. “We’re actively addressing it with our other partners to prevent this from happening again and solve the ones that did happen,” said police chief Troy Oswald on Friday morning. Law enforcement sources would not say whether the shootings are gang related, but said it’s apparent the actors are fighting over criminal enterprise. Some of the incidents are connected, according to law enforcement sources. Mayor Andre Sayegh did not respond to a call for comment on Friday. Sayegh is expected to swear-in a new class of police officers on Monday.